Shanghai's WinSun Decoration Design Engineering Co. (also known as Yingchuang Construction Technique (Shanghai) Co. Ltd.) has built an 1,100-square-meter (11,800-square-foot) villa with ornamental trim and a five-story apartment building—both created, the firm adds, on the world's largest 3D printer. 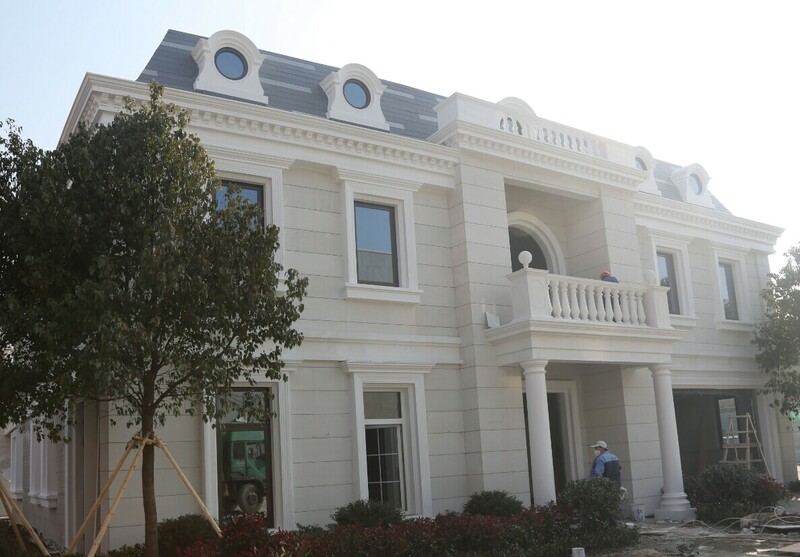 The 11,800-square-foot mansion cost $161,000 to print and build, according to WinSun. 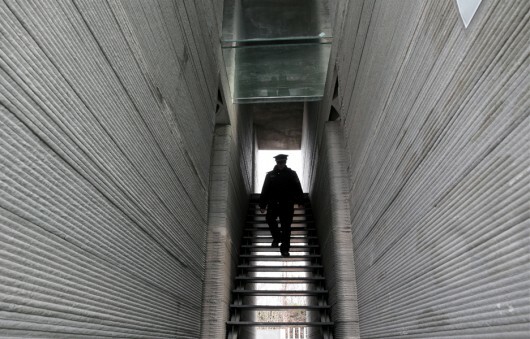 Both buildings are on display at Suzhou Industrial Park, news reports say. The news, announced at a press conference Feb. 1, follows the company's announcement last March that it had 3D-printed 10 one-story houses in 24 hours. In April, a Dutch architecture firm announced the construction of 3D Print Canal House in Amsterdam. But nothing has approached the scale of the new Chinese buildings. “These two houses are in full compliance with the relevant national standards," Ma Rongquan, chief engineer of China Construction No. 8 Engineering Bureau, said at the news conference. The five-story apartment is the world's tallest 3D-printed structure to date, the company says. "It is safe, reliable, and features a good integration of architecture and decoration." 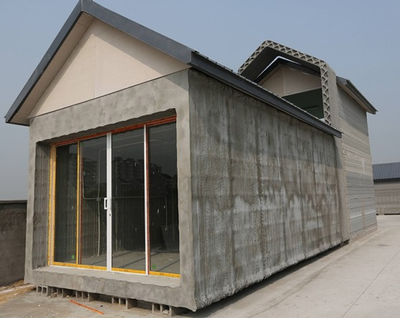 WinSun says its new construction shows 3D printing's potential for creating traditional building types that are suitable for mainstream developers. At 20 feet high, 33 feet wide and 132 feet long (6.6 by 10 by 40 meters), the printer array developed by WinSun CEO Ma Yihe is the world's largest. The massive printer builds up layers of a material made from a mixture of glass fiber, steel, quick-dry cement, hardening agents and recycled construction waste. 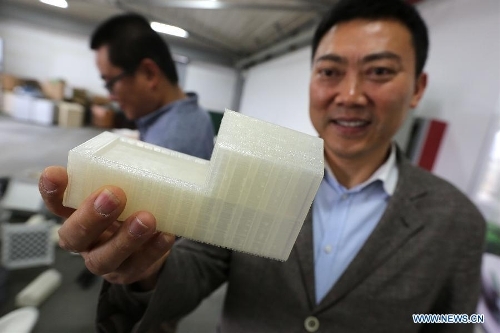 WinSun CEO Ma Yihe has been developing 3D-printed construction technology for more than a decade. His company holds 98 patents. His latest 3D construction printer is the world's largest. Multidimensional sprays emit layer after layer of the "ink" in large sections, which are then assembled on site with steel reinforcements and insulation to create a full-scale building that complies with standards, news reports say. 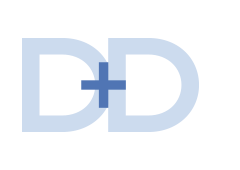 Ma has been developing 3D printing technology for more than 10 years, and his company holds 98 patents for construction materials, according to www.3ders.org, which reports on 3D printing technology. The company developed a 3D printing spray nozzle and automatic material feeding system in 2004 and 2005 and printed a building wall in 2008, 3ders said. Not only does the process use recycled and waste materials, but it is inexpensive (presumably after the equipment investment). WinSun said the villa cost just $161,000 USD to print. 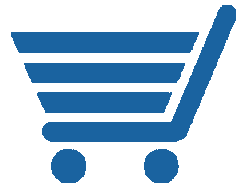 WinSun estimates that the technology can save 30 to 60 percent on building materials and shorten production times by 50 percent. Moreover, it says, different designs can be integrated into the printing, allowing for custom structures. 3D-printed construction is output in layers (left) to create large sections that are then assembled. 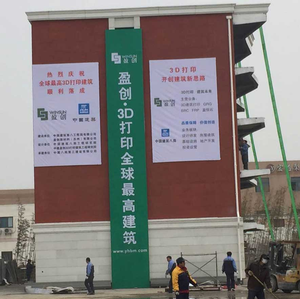 In March 2014, WinSun built 10 one-story houses (right) in 24 hours using 3D technology. 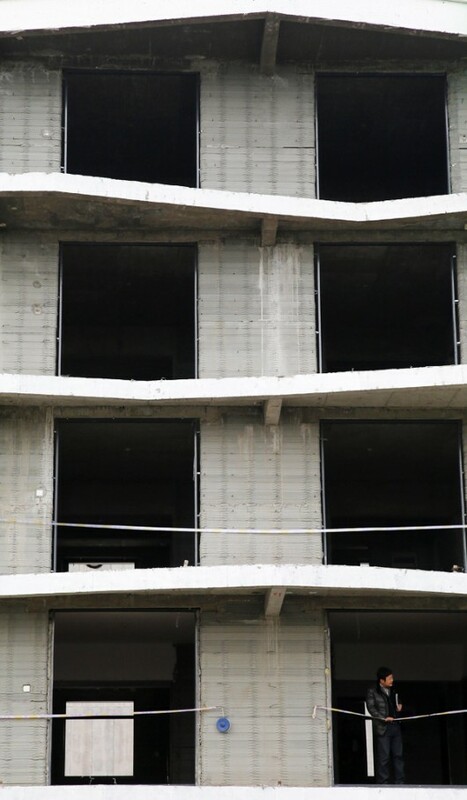 The apartment building was printed in one day and assembled in five, the company said. The villa was designed for Taiwan-based developer Tomson Group Ltd., which has ordered 10 of the structures, WinSun said. Future 3D-printed structures could include bridges, the company says. For now, WinSun is planning to disseminate the technology in a series of new factories over the next three years in more than a dozen countries, including the United States and Saudi Arabia. One goal is to provide housing for low-income families in the Middle East and Africa, the firm says. The first printers are already ready to be shipped, 3ders reports.